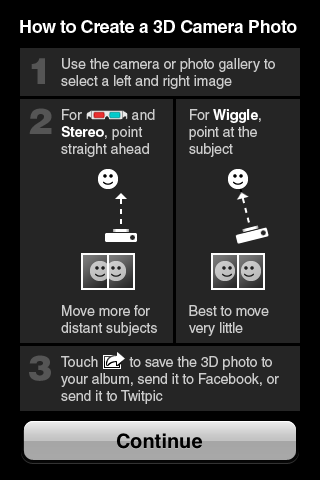 SpatialView’s 3DeeCentral software for watching stereoscopic 3D content on iPhone got an update allowing you to easily capture photos in stereo 3D with the single camera available on the iPhone 4/4S and then to preview the photos in 3D on the smartphone. In order for this to work you need to use the 3DeeCentral software together with SpatialViews’s special adapter called 3DeeSlide for the iPhone 4 and iPhone 4S that transforms the 2D display of the phone into an autostereoscopic 3D one (with reduced resolution in 3D mode). 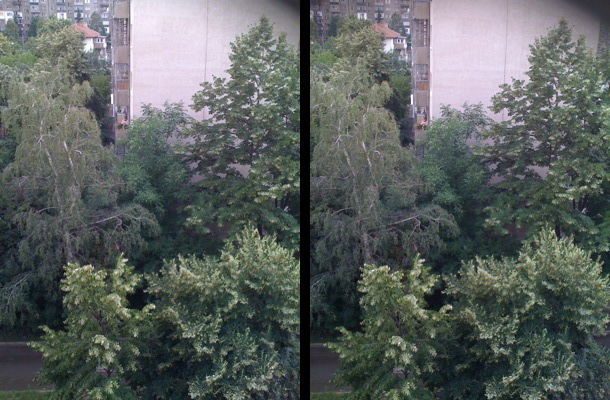 You can see a demonstration of the new 3D photo taking feature on the video above, it seems quite easy and there is a ghost image being displayed to help you take the second photo, and there is an extra adjustment phase for the two photos available after that, so that the resulting 3D image could be great. Not sure if the software can already take advantage of the improved camera features such as higher resolution in the iPhone 4S, most likely not yet as it requires the use of iOS 4.3 and not iOS 5 as a minimum. The only drawback is that you would need to move the 3DeeLens on and off the screen quite a lot if you are taking multiple pictures in 3D using the application. The interface could probably be easily tweaked, so that you will not have to do all the acrobatics with moving the lens that makes the screen in 3D and then removing it to see it back in 2D when taking 3D photos. Also sharing of the 3D photos you have taken with this application could be a bit limited, especially if you want to send it to someone that does not use the 3DeeCentral software. Also have in mind that the 3DeeCentral software is free, but it does not work on jailbroken iPhones. Taking stereo pictures of things generally is not an easy task, because it requires you to have a two lens camera ot two cameras that can shoot the same thing from a little bit different angles. But there are other ways to achieve the same result with things you probably already have like an iPhone, iPhone 3G or even the latest iPhone 3GS and an adequate application to help you get the job done. Now I’m talking about the 3D Camera application by Juicy Bits that I’ll be talking about and it’s alternative that is called iStereo3D from Knowledge Link Corporation (I think this one is Japanese, although it is available in English).